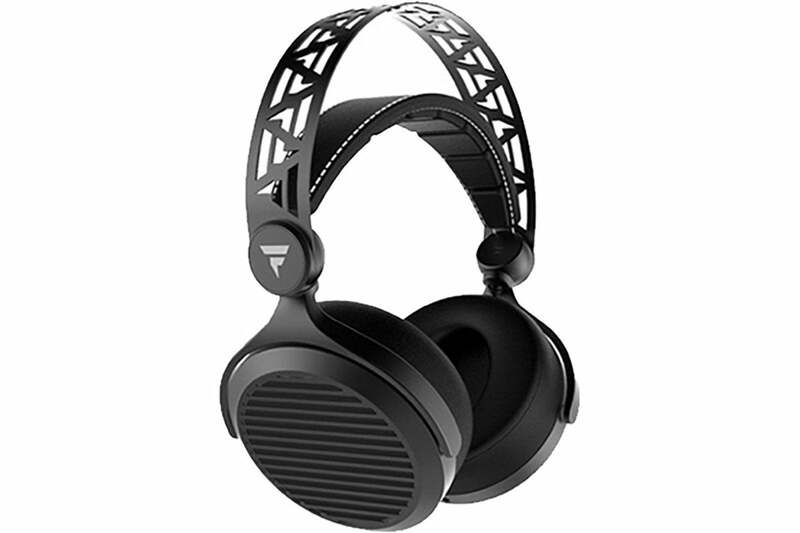 Tidal Force has joined the ever growing headphone marketplace with the launch of its Wave 5 planar magnetic headphones. Most headphones you are familiar with are driver-based designs, like loudspeakers. Not the Wave 5. Planar magnetic headphones use an extremely thin and light diaphragm to reproduce sound, instead of the more traditional driver. A magnetic system drives the entire surface of the diaphragm evenly in a pull-push manner. In the case of the Wave 5, the diaphragm’s size measures 56mm and will reproduce notes from 16Hz to 50kHz. Tidal Force says that the magnetic structure is a matrix double pole and uses neodymium magnets. The Wave 5 headphones have a high-quality, all-metal construction, but this leaves the headphones tipping the scales at 480 grams. The outer headband’s metal skeleton has the company’s logo laser-cut in an alternating pattern. Touching any part of the headphone’s metal skeleton will transfer vibrations into the headphone cavity. In other words, you'll hear it. If you like to lie down wearing your headphones, or wear them while doing some work that requires moving around, you’ll definitely encounter this. Anything touching either arm of the "Y" cable produces the same effect. A secondary, self-adjusting, imitation leather headband auto-tensions to your head. With this design, you’ll get solid clamping pressure to the sides of your head like recording-studio headphones. Just be aware that some might find the pressure a bit much. For me, I got somewhat uncomfortable wearing the Wave 5 after long listening sessions. The ear cups rotate 90 degrees so that the headphones can fold flat. The ear cups themselves pivot freely to fine-tune comfort and adjustment to your head. The ear cups attach magnetically, and guiding pegs make sure they fit perfectly to the ear cups. 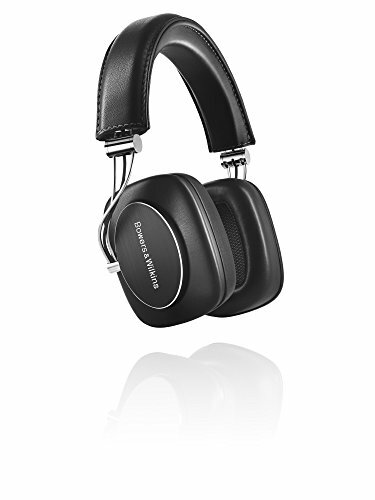 Regrettably, the magnets are not as strong as the ones Bowers & Wilkins uses across its headphone line. 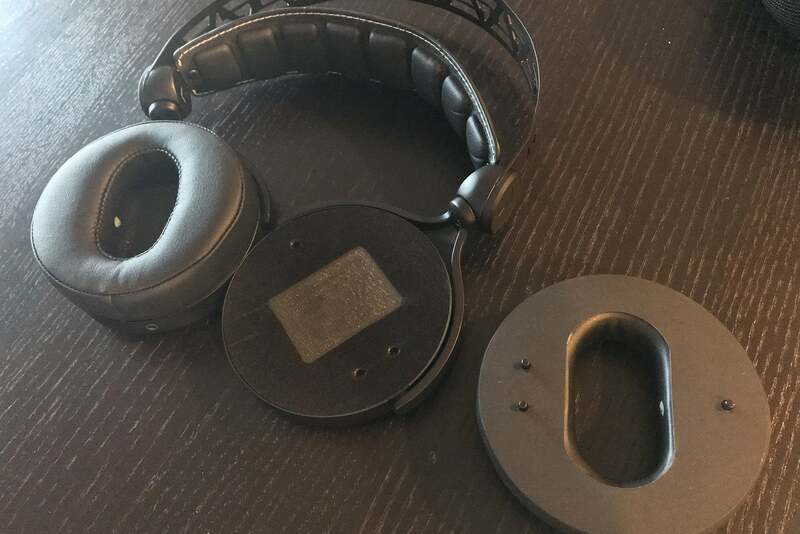 I accidentally knocked the magnetic ear pads off more than a few times during my review period. 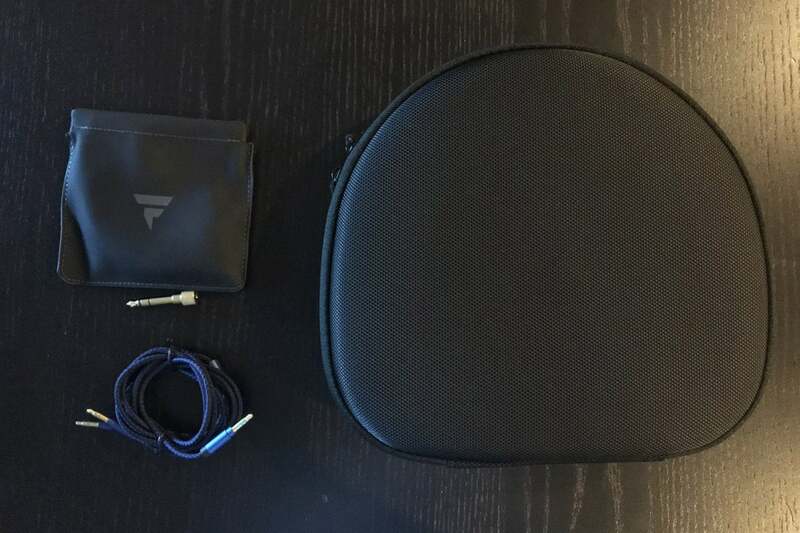 If you plan to fold the headphones flat so you can slip them into a backpack, make sure the ear pads are still attached when you pull them out. If and when Tidal Force updates the Wave 5, I'd like to see a stronger magnetic hold in the new model. Magnets hold the Wave 5's ear pads to the ear cups by magnets. The ear pads seem large from the outside, but they have a narrow, oval opening, like the capital letter “O” on a serif font. The left and right side walls are thicker than the top and bottom. Your ears don’t fit into a nice large cavity like other circumaural designs. When I wore them, the ear pads touched my ears and pressed them down. The Wave 5 are an open-back design. That means the ear cups have an opening to the outside world and do not create a completely sealed cavity like closed-back designs. Typically, open-back designs create a greater sense of space and soundstage depth. I didn’t find that to be the case here. The Wave 5’s sound was more forward than most other open-back designs I've reviewed. In fact, when I compared the Wave 5 to Oppo’s open-back PM-2 planar magnetic headphone, the Oppo PM-2 delivered a more relaxed and spacious musical presentation. The Tidal Force Wave 5 come with a hard case, a 1/4-inch adapter, and a soft pouch to hold the included 3.5mm “Y” cable. Most headphones that include a Y-cable separate the left and right audio signal. That’s not the case here. Both arms of the cable carry a full stereo signal (as indicated by the two stripes on the 3.5mm tip and the two stripes on each arm). The respective ear cup knows to separate the left or right channel from the cable. Unfortunately for me, the cable that came with the Wave 5 was defective out of the box and would often cut out sound on one of the ear cups. 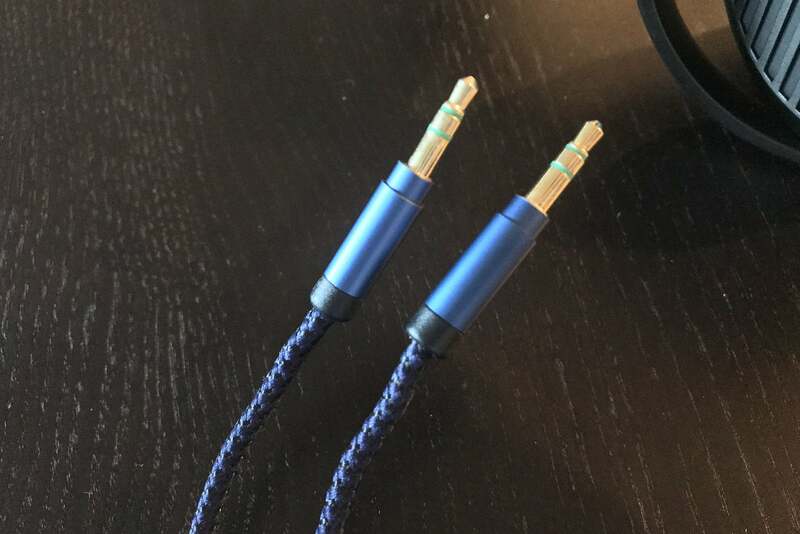 The defect was consistent with a cable that’s had too much stress applied to the connector. The company sent me a new cable, which worked just fine. Accessories included with the Wave 5 headphones. I did notice some things with the two sets of cables. The nylon-braided cable is far stiffer than most. It will tend to keep a shape or twist instead of falling in a supple manner. The 3.5mm plug on both cables was also slightly bent. I noticed it when looking at it straight on, and it had a slight bend when plugged into any of my digital audio players. Tidal Force might want to look into the Q/A process wherever these cables being manufactured. There's no designated left or right cable for the ear cups. Both cables carry the full stereo signal. Planar magnetic bliss? Not quite. 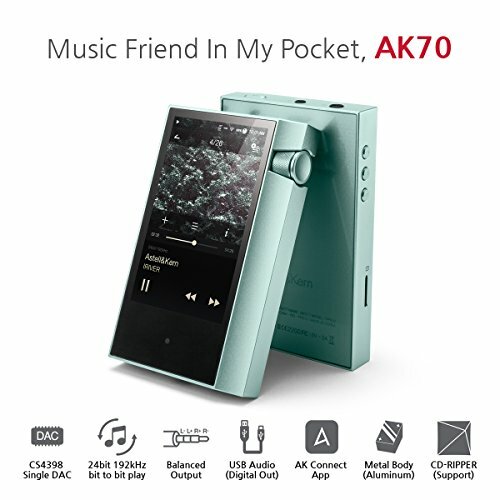 I tested the Wave 5 with an Astell&Kern AK70, Sony NWZ-A17, and Pioneer XDP-100R high-res audio players using mostly high-res FLAC and ALAC files and a handful of AAC-encoded music files. Listening to Natalie Merchant’s Ladybird (16-bit/44kHz AAC), Led Zeppelin’s Led Zeppelin II ( 24-bit/96kHz FLAC), and Pink Floyd's Wish You Were Here (24-bit/88.2kHz FLAC) gave me a good indication of the Wave 5’s sonics. The headphone’s overall character was smooth but darker and with less air than I know is contained in familiar source material. It's as though the Wave 5 tries to smooth out musical rough edges, but it does so by applying a slight veil over the music. Orchestral works like Star Wars: The Force Awakens soundtrack (24-bit/192kHz) suffered in this regard. 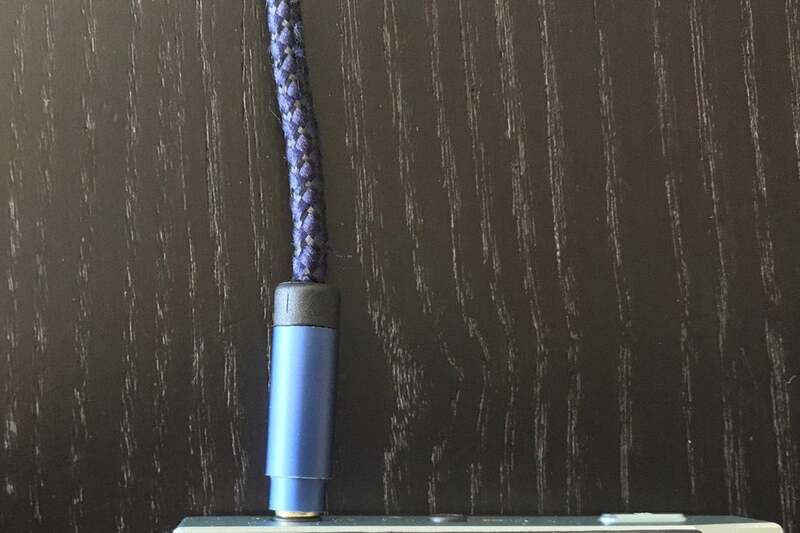 The 3.5mm headphone jack arrived with a slight bend. Bass was controlled and well defined; the kick drums, however, lacked solid dynamics and punch. 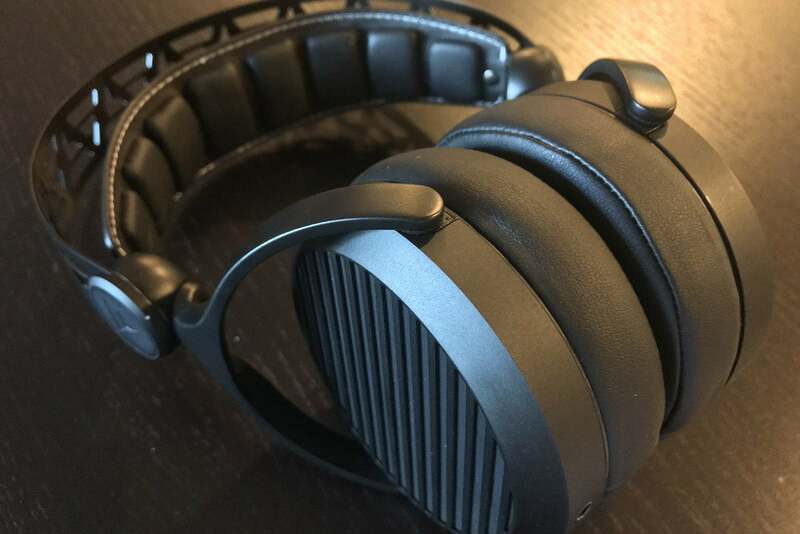 The difference was noticeable when I compared the Wave 5 to Oppo’s far more expensive planar magnetic PM-2 headphones, which did a far better job. To be fair, it's not uncommon for open-back headphone designs to be a bit bass shy. If you’re the type who likes digging into the details of your music, then you’ll enjoy firing up your favorite tracks with the Wave 5. Microdynamics across the audio spectrum were good. Playing the high-res version of Michael Jackson's Bad, the complex mix found in every track came through nicely. Nevertheless, I continually noted that the one area where (for me) the the Wave 5 fell short was the refinement and delicacy I've experienced with planar magnetic cans. Turning to Patricia Barber’s “A Taste of Honey” and “Too Rich for My Blood” from Cafe Blue, the Wave 5 failed to elevate the tracks to their full potential. The midrange and top end just couldn't reach the point of sonic bliss that more expensive planar magnetic headphones can muster. I felt as though the three-dimensional character inherent in vocals and instruments got compacted. Wave 5 planar magnetic headphones. The Wave 5 deliver planar magnetic technology and solid build quality at a reasonable price point. If you’ve craved to experience a pair of planar magnetic headphones but been turned away by their cost, then the Wave 5 certainly deserves an audition. By any measure, the Wave 5 are a solid value. Whether or not you like their sonic character will be a matter of personal preference. I found that the Wave 5's sonic character inclined towards the euphnoic, with a tendency to smooth out recordings. For me, they failed to deliver the breadth, excitement, and openness I've come to expect from my music. For those who find Tidal Force's Wave 5 to be a bit underwhelming, then you might be better served by saving a bit more and spending the extra $100 for Oppo’s PM-3 planar magnetic headphones instead. Editor's note, October 10, 2017: We've been informed that the manufacturer of the Tidal Force Wave 5 is rebranding its audio division as Helm Audio. Tidal Force will become the company's video products division. Tidal Force's Wave 5 headphones gives you a small taste of the magic planar magnetic headphones can deliver.